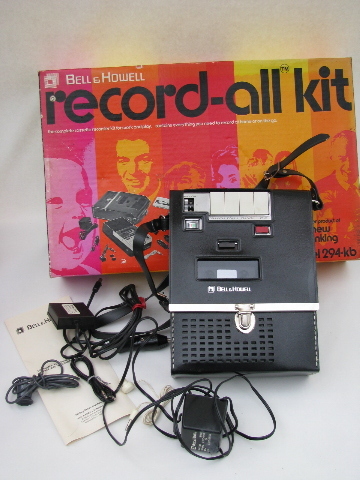 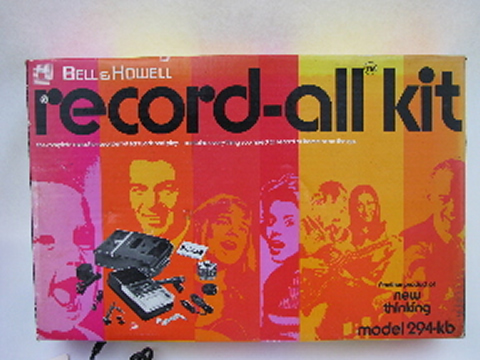 Vintage 1970s Bell &�Howell "Record-All Kit - model 294-kb" cassette tape player and recorder with the original box. 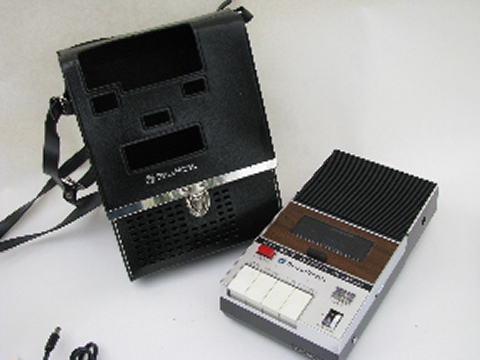 This vintage tape player has the earphone, a DC power adaptor, a power adaptor for a 12 volt automobile cigarette lighter / power port (this would be the correct period tape deck for your vintage hot rod or retro muscle car), a hand-held microphone and a smaller tabletop mic, a vinyl carrying case etc. 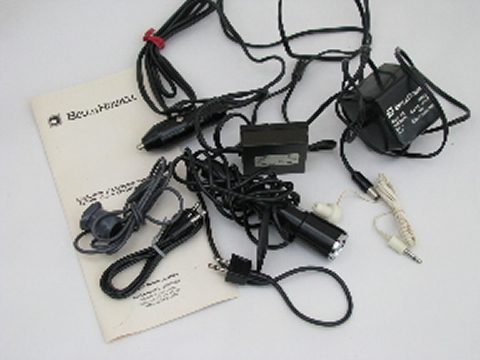 This is in very nice and clean condition (we&apos;re not sure if it has ever been used), but there is some wear and soil/sun fading to the box.